Though far from perfect, international human rights treaties do make a difference, and their many weaknesses point to the need to strengthen not reject the system they uphold. A contribution to the openGlobalRights debate on Emerging Powers and Human Rights. Eric Posner’s recent article – positing the ‘twilight of human rights law’ -- has done a service by drawing human rights practitioners out of our commonplace complacency. That said, his analysis and conclusions should be challenged. In the first place, is it really correct to argue that we have too much law, at least on the basis of Professor Posner’s figures? He is concerned that there are too many rights – some 400 of them - but it is not clear how he reaches that tally. In any case, most of the rights in the United Nations’ thematic treaties (dealing with children or women’s rights, or issues like torture) are not distinct rights at all. Rather, they are extrapolations or context-specific applications of the core rights in the two UN core covenants (on civil and political rights, and economic and social rights). And we should recall that few states ratify all treaties and then usually with reservations. As regards the point that too many rights place an impossible burden of implementation on states, we need to recall the principle of progressive realisation. This principle holds that, regarding economic, social and cultural rights, the state’s duty is in large part a function of its capacity. Further, the United Nations bodies that monitor state compliance with the human rights treaties take into account the specific national context when making recommendations to states. Repeatedly, I meet human rights defenders who tell me that it is the very existence of international human rights law that empowers them. On the subject of the law’s impact or lack of it, Professor Posner makes bold claims regarding the collective conclusions of political scientists. It would be good to know how his survey was undertaken and how he chose those authors on whose writings he bases the conclusion that [they] “have found little evidence that countries that ratify human rights treaties improve their human rights performance”? This gives inadequate attention to the findings of such scholars as Kathryn Sikkink and Beth Simmons, who reach more nuanced conclusions. Namely, that in certain situations the human rights treaties play an important role in encouraging respect for human rights. More generally, academic assessment of levels of respect for human rights needs to take more account of the positive experience of human rights practitioners. I have found, as have colleagues – and notwithstanding appalling on-going violations - that there is enough impact to convince us that we are not wasting our time. For eight years I was a member of the UN Human Rights Committee, the treaty body that monitors implementation of the International Covenant on Civil and Political Rights. Notwithstanding the many failures to implement the Committee’s findings and recommendations, there were scores of instances when a state did address our concerns and strengthen its human rights protections. Notably, these cases of compliance could be identified across all geographical regions. My experience working directly with rights-holders has also encouraged me. For instance and just to take a handful of disparate examples: I witnessed how human rights interventions in the Sierra Leone war saved lives and how the evidence of myself and colleagues sent Charles Taylor and other human rights abusers to jail. I have attended human rights-based ceremonies of reconciliation that healed communities in Timor Leste. As Chief Commissioner of the Northern Ireland Human Rights Commission I found that when I formulated my demands on government in human rights terms, they had a much stronger likelihood of being acted upon. In the context of a study I am doing for the UN, I am impressed and surprised by the extent of good practice in all regions for the protection of the rights of members of the LGBTI communities. Repeatedly, most recently last week, I meet human rights defenders who tell me that it is the very existence of international human rights law that empowers them. 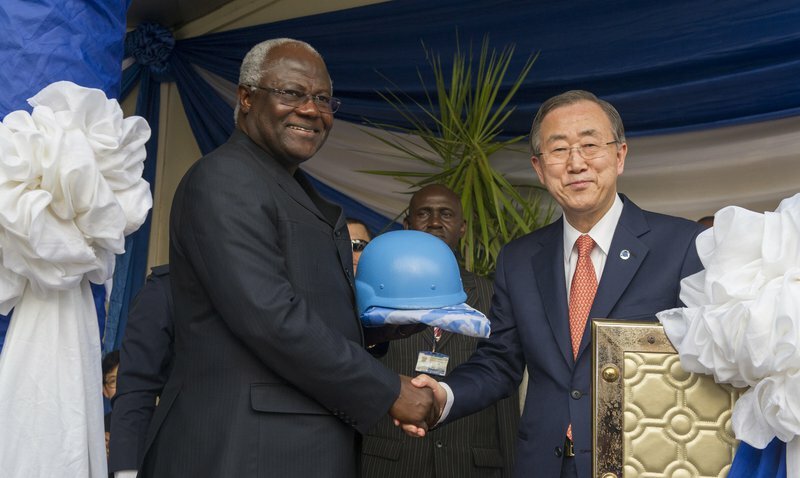 Secretary General Ban Ki-moon and Sierra Leonean President Ernest Bai Koroma. Human rights interventions in the Sierra Leone war have saved many lives. We need to do a much better job of systematically capturing such experience so that scholarship can take proper account of it. This may contribute to conclusions that differ from those of Professor Posner. As regards his conclusions, I find the suggested substitutions for international human rights law to be somewhat puzzling. For instance, he presents development assistance as an alternative, rather than a complementary strategy for engagement. Enormous strides have been taken in recent years to apply development models that better acknowledge and support the human rights of so-called ‘beneficiaries’ of development assistance. This ‘rights-based approach’ – with its emphasis on participation by the rights-holder, accountability of the duty-bearer and transparency - does exactly what Professor Posner seeks when he refers to a “new foreign aid approach [that] stresses mutual consent, empiricism, and humility”. International human rights law is far from perfect and cannot offer some sort of messianic solution to all of humankind’s woes. It is a fallible normative framework that is saddled with very weak enforcement mechanisms, is widely disregarded and its institutions ridiculously under-funded. It may even be that we have too many rights – there probably is an overabundance of instruments, sometimes poorly drafted and occasionally eccentrically interpreted. But problems and constraints such as these are no reason for a wholesale rejection of the system. Instead they are the basis for sustained effort towards its strengthening.